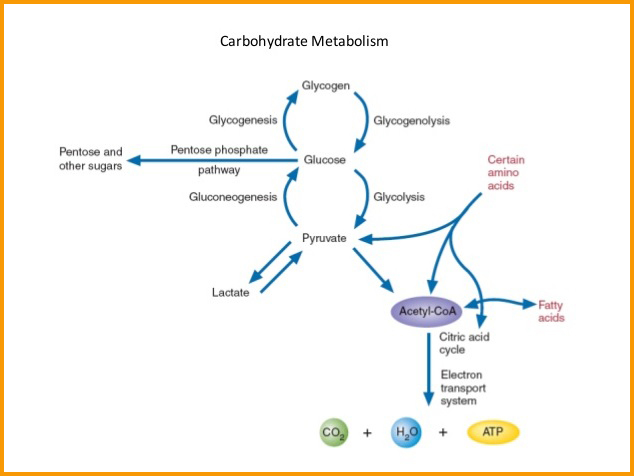 Carbohydrates | Metabolism Assays | BioVision, Inc.
Metabolism of carbohydrates includes the process where in complex carbohydrates with 3 or more sugar units in a chain are broken down into simple mono- and disaccharides like glucose and sucrose which are important components of several metabolic pathways. Glycolysis is an important pathway which occurs in almost every living cell, both in prokaryotes and eukaryotes. In this pathway glucose is broken down into 2-3 carbon unit molecules like pyruvate and the energy generated in this pathway is stored in the form of ATP and NADH. Depending on whether the subsequent steps are aerobic or anaerobic a number of end products like acetyl CoA and lactic acid, ethanol, acetic acid may be generated. BioVision has a broad range of assays that measure the different intermediate enzymes and products that are involved in the generation, interconversion and breakdown of carbohydrates from a large variety of samples. Our 1 or 2-step assays for this category are quick, easy to perform and validated, as evidenced by a large number of citations. BioVision has assays for several components of the Glycolysis, Glycogenesis and Gluconeogenesis Pathways.